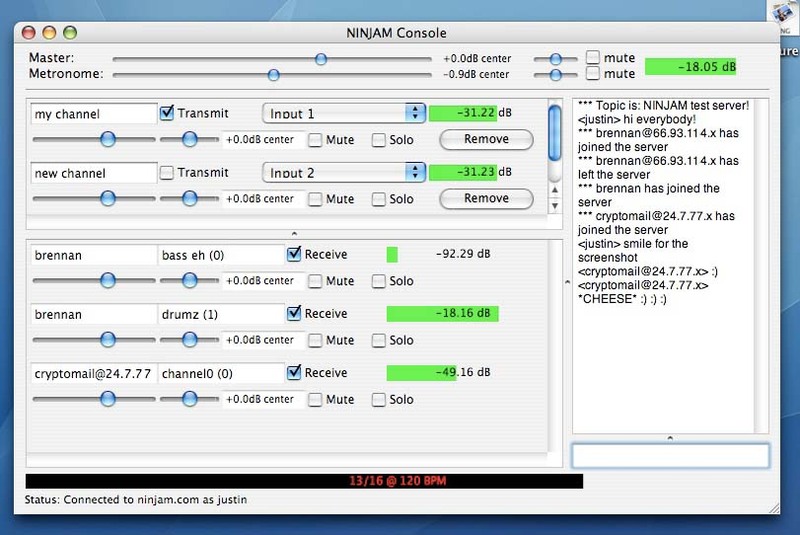 REAPER is a Digital Audio Workstation for Windows and OS X that also provides native NINJAM support via the "ReaNINJAM" effect, and allows you to use VST/VSTis/ReWire/MIDI hardware/etc with NINJAM. 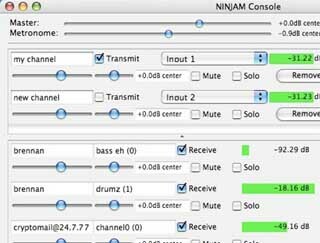 REAPER also can import NINJAM sessions directly for remixing/editing. The main requirement for running the server is outbound bandwidth. For example, a 4 person jam needs approximately 768kbps of outbound (and only 240kbps inbound) bandwidth, and a 8 person jam requires approximately 3mbps of outbound (and 600kbps inbound) bandwidth. We are planning on updating the architecture to support a more distributed model, but this is just an alpha release. A server setup guide is here. Compiles on Linux, FreeBSD, Darwin/OS X, Windows, and more. 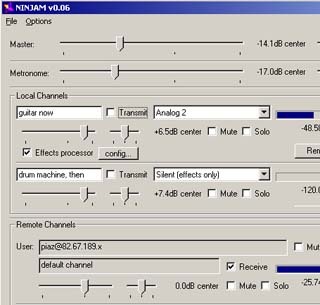 Requires: Windows 98+ (2000+ recommended), 2GHZ P4 (or Athlon 2000+) or faster recommended. Requires: ALSA, ncurses, libogg, libvorbis installed. More information on the Wasabi dev toolkit can be found at wasabi.t0x.org.